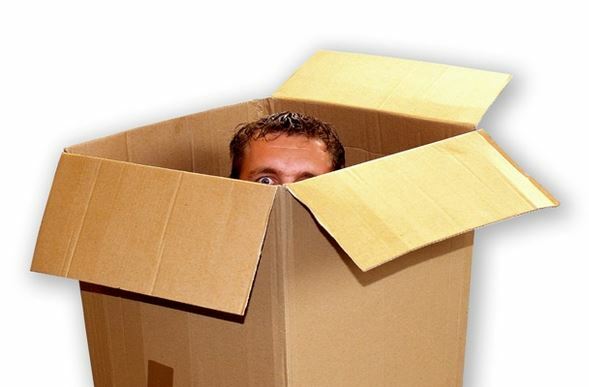 If there’s a poster-child cliche for innovation it has to be “get out of the box.” I’ve got some breaking news for you, the hardest part of innovation isn’t getting out of the box. In fact, getting out of the box is sometimes the worst thing you can do. As I thought about his comment it occurred to me; that’s what we always do when we are in a box we don’t want to be in, we just keep trying to decorate it. But wait, I said at the outset that getting out of the box wasn’t the problem, so which is it, do I stay in or get out? What the vast majority of people don’t get is that just breaking out of the box does nothing. It doesn’t change your behaviors, culture, or attitudes. In fact, the illusion is that jumping out of the box is the end game. It’s not! In all of my experience over the past 30 years working with companies of all sizes trying to improve their ability to innovate, and even in coaching individuals to innovate themselves, what I’ve found is that the biggest threat to innovation is the belief that you can only be in the past or the future, but not both. I’ve seen countless companies and people try to get out of the box only to realize that what exists outside is the vacuum and ambiguity of empty space. Telling a company, or a person to get out of the box without giving them another box to get into would be like asking an astronaut to take a walk in space with no way to get back into the only space ship in orbit; it’s exhilarating until the oxygen runs out. I cringe when I hear people talk about getting out of the box as though it were some sort of panacea to whatever is currently challenging them. Innovating a business, an institution, or even ourselves means that we first need to decide what our core competencies are and then evolve ourselves and our organizations, our behaviors, culture, and markets, so that each new box we build leverages those core competencies and creates greater value than the last one. You see, it has nothing to do with the proverbial BOX, it’s about growing into the future by using your core competency as the compass for seeking new opportunities. Some of the mightiest companies in the world have struggled with this problem and have really screwed up trying to deal with it by drawing hard lines forcing them to choose between boxes rather than to be guided by core competency. When Steve Jobs left Apple it was precisely over a debate around which box apple should be in; the Apple II or the Mac. After his ousting Apple seemed like a rudderless ship. It wasn’t clear what box they belonged in. Ironically when Jobs came back his first order of business was to dramatically slash products Apple had developed and focus on being back in the box with the iMac, focusing on Apples core competencies of cutting edge design, multimedia and , user experience, and then methodically building new boxes that leveraged those same core competencies. Each new box Apple stepped into–the iPod, iTunes, iPhone–was built while Apple continued to expand its core business, and yet each one eventually eclipsed the prior box while not departing from Apple’s core. That’s why I react so vehemently to pure out of the box thinking, because it ignores the notion of innovation as a journey of growth and discovery which is guided by a clear understanding of what is core. If you want you can even apply this to interpersonal relationships. If we don’t understand ourselves well enough to know what we need out of life we will never find it, but instead find ourselves jumping out of one box after the other, blaming the boxes all the time. (Sorry, is that hitting too close to home?) The expectation that the future will be brighter than the past isn’t based on abandoning the past, but instead on navigating the future. That takes courageous leadership which is willing to define a core competency and then embrace the future and help the company evolve while it is being successful. If you think in terms of boxes you will always be pitting the future against the past in a losing battle. That was Kodak’s predicament with film vs. digital photography. It forced itself to choose analog film over digital storage when it should have been focusing (sorry) on its competency of capturing and preserving images. If you obsess over the boxes it’s just about impossible to conceive of a future that is threatening enough until it’s too threatening to do anything about. So, how do you stay in the box and simultaneously build a new box to be in? Ah, well that’s where the real innovation work comes into play. You always build the next box while you’re in the one that pays the bills today, because that’s when you are most able to build, when things are going well and you have the resources to dedicate to a build, not when margins are eroding, life cycles are ending, and the pressure is on to spend every penny on keeping the bottom from falling out of the current box. And that’s where most small companies get it terribly wrong by ignoring the building of a new box while they are doing well and, instead, simply waiting until they are in crisis mode to start. I’m sure that has worked for someone, but in 30 years of consulting with businesses on innovation I’ve never seen it work first hand, at least not without the help of a government bailout–and if you’re a small business you’re not getting that relief! Companies, like people, who do not first ask “What is my core competency? And how am I using it as fuel for a better future?” and instead simply try to get out of the box, will forever find themselves searching for something that was most often right in front of them in plain view the entire time; a new box that they should have been building long ago–if only they weren’t too busy decorating the current box to see it.